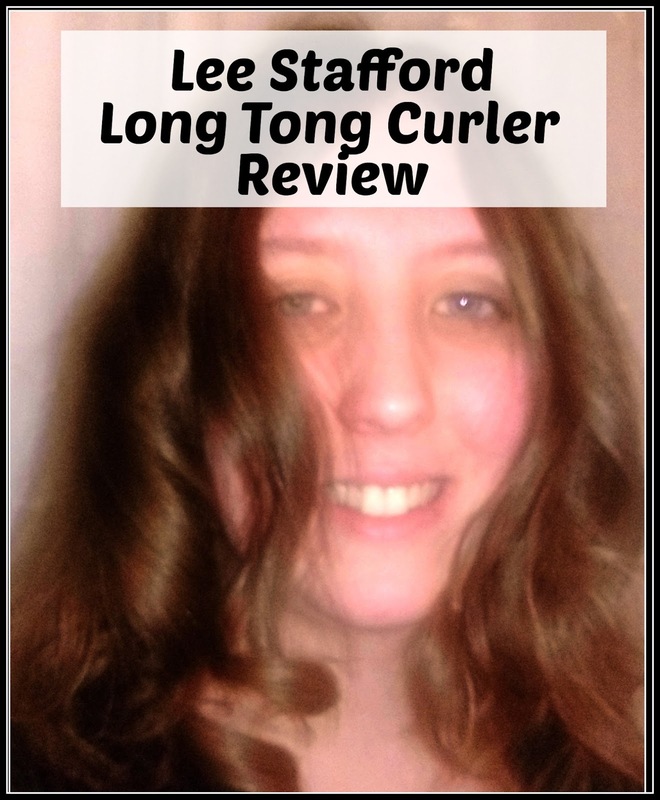 After reviewing the Lee Stafford Academy Ionic Hair Straighteners, which I loved, I was offered the chance to try the Coco Loco Long Tong Hair Curler for free too, from the same company, to see what I thought. The curling tong boasts a 40% longer barrel than a standard tong and I felt this would be really useful for my very long, thick tresses. 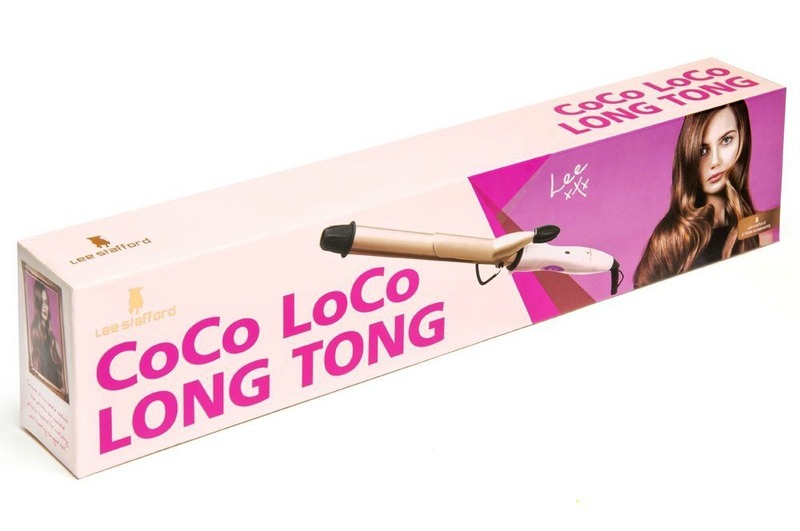 It's currently on sale for the reduced price of £22.99, which seems pretty reasonable, from a company who make really great quality products, if the straighteners are any indication. My first attempt wasn't a roaring success to begin with, and it took some getting used to, but I put that down partly to my inexperience with curling tongs and my unhelpfully unruly hair. I know it's not the most important feature, when reviewing a product, but I did appreciate the colour and design of the curler. The copper coloured barrel really complimented the two tone pink exterior, and I don't think there's any harm in having an asthetically pleasing, professionally looking product adorning your dressing table, given the choice. It also comes in some rather lovely packaging, so it would be great to give as a gift. The curler was easy to hold and not too heavy. The most impressive feature for me, was the incredibly fast heat up time. It went from 0 - 200C in about 10 seconds, which I thought was astounding. It's a great safety feature too, since you don't even have to put it down, never mind getting tempted to wander off and get distracted elsewhere, whilst you wait for it to heat up (or is it just me who normally does that?). I have some experience with tongs, but not a great deal, so I can tell you the extra length makes a world of difference on long hair. The heat gets through the hair a lot quicker and more evenly, and the whole process is just less of a faff, trying to get it all to fit on the barrel! However, I did struggle to get the curls I wanted on my hair. As I do have very unruly, and very long, hair, I thought I would try them out on Jade, since if you are not very experienced, it sometimes helps to practice on someone else first! The results were better, but still not as I had hoped. I am not sure yet, where I am going wrong, since the instructions are really good and there are some excellent features that really do make it a breeze to use. The cord swivels and there's a cool rotating tip at the other end, so you can turn it completely round without risk of burning yourself. It offers a much better level of accuracy and precision than other models I've used. So, I have to include that I need a lot more practice! 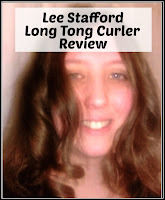 Thankfully, I have a friend, Lynn, from A Slice of Lemon's Cake who has a lot more experience with curlers than me, and she has allowed me to link to her video demo, illustrating that the product works perfectly, and I am just not very good at it. When I used the tongs on Jade's hair, there was a visible softness and shine afterwards (see top photo) so the coconut-infused barrel must work. I'm not sure what I was expecting, perhaps a coconut aroma, but you can't argue with results. Jade and I both agreed that the easy to read instructions and additional features made it a good option for beginners and I am looking forward to getting more practice with these tongs, as I feel a lot more at ease with this design. A lot of the reason why I've never really used them much before, is because I've never felt especially confident using them. The advances in this design has changed that though, so I may finally get tidy, spoingy curls, even in my rebellious frizz!